The push to boycott “blood coal” exported from Colombia by Drummond and Glencore is gaining momentum in Europe after the publication of a report in which dozens of victims and victimizers testified that the multinational mining companies financed and promoted death squads. “Blood coal,” a reference to the infamous “blood diamonds” mined amid conflict conditions in Africa, is the term used by the PAX peace organization to refer to coal extracted from areas in Colombia where paramilitary violence has been particularly severe. According to the Dutch NGO, coal coming from Glencore and Drummond’s mines in the northern Cesar province has been stained by blood; former members of the death squads that committed an estimated 2,600 homicides in the areas surrounding the multinationals’ mining operations have testified that their formation was supported and financed by the mining firms. The report has already spurred a debate in the Dutch Parliament around the importation of Colombian coal. 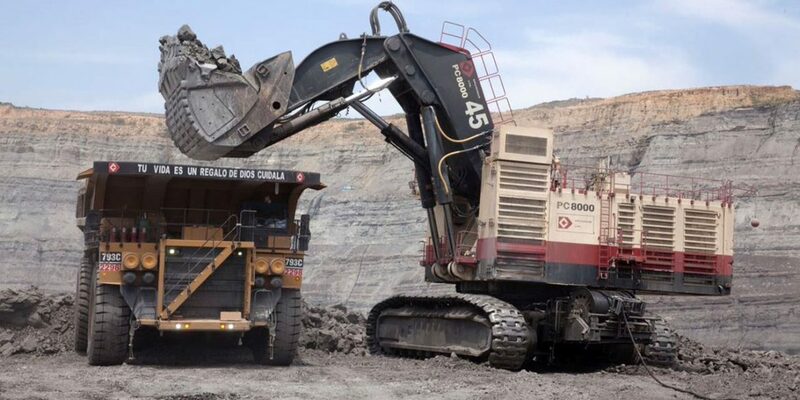 The NGO wants parliament to ban the trade of Colombian coal until the multinationals in question have implemented appropriate measures to guarantee the end of human rights violations related to mining and compensated victims of the violence they are accused of having financed. A quarter of the small European country’s total coal imports is deemed “blood coal” by the NGO. In total, the Netherlands imported 15.4 million tons of coal from Colombia last year. According to PAX, efforts are underway to urge other European countries — e.g., Germany and Switzerland — and the United States to force the multinationals to compensate victims for the crimes committed against them. Drummond and Glencore’s Colombian subsidiaries — Drummond Ltd. and Prodeco, respectively — are both accused in the report of providing financial and logistical support to paramilitary groups operating in the vicinity of the companies’ mines. In a report titled “The Dark Side of Coal,” Pax studied the roles corporate money and activity played in escalating a wave of paramilitary violence that swept through the northern state of Cesar between 1996 and 2006. Throughout the three-year investigation of the report, Pax reached out to around 80 victims, gathered victimizer testimonies, visited the Cesar mining region, and met with employees of both companies. According to estimates based on national police figures, paramilitaries that operated in the region were responsible for 2,600 selective assassinations, 500 massacre killings, 240 disappearances, and 59,000 forced displacements, figures the report says are conservative due to the low rate of reported incidents. PAX singled out the Juan Andres Alvarez Paramilitary Front (JAA) as the primary victimizer in the region in question. The JAA Front was formed in 1999 from paramilitaries already in northern Colombia and operated in and around municipalities where the Drummond and Glencore concessions were located, as well as along the railroad route the companies used to bring coal to port. The Cesar state has long been a battleground for Colombia’s civil war. In the 1990s, Colombia’s two largest rebel group held a dominating presence in northern Cesar, where Drummond and Glencore would soon receive their concessions. As the companies began exploration activities, the FARC‘s 41st front and ELN carried out repeated attacks on company infrastructure and kidnapped company personnel. PAX gathered the testimony of former Army Officer and, later, Glencore contractor, Jose del Carmen, alias “El Canoso,” in which he claims to have set up a meeting between company security officials and local AUC paramilitary commanders to discuss an arrangement in which Glencore would provide material and financial support to the AUC in exchange for the protection of company infrastructure and personnel. Gelvez is currently in a maximum security prison in Bogota and has survived several assassination attempts allegedly brought on because of his testimony. The action of the guerrilla groups made for a dire security environment for mining companies. According to the PAX report, Drummond and Prodeco set up a “triangular exchange of information.” Drummond and Prodeco set up a joint intelligence office ran by a Sergeant in which information regarding subversives and the security situation in the region would be gathered and shared with local army units. Security officials from Prodeco such as Manuel Gutierrez and Luis Ochoa received paramilitaries such as “El Lucho” and even Vicente Castaño, alias “El Profe,” one of the founders and supreme commanders of the AUC paramilitary organization, responsible for the majority of human rights violations that have occurred in Colombia’s armed conflict. The first payment to paramilitary groups, according to “El Canoso,” was made by Prodeco security manager Manuel Gutierrez to paramilitary commander Vicente Castaño in 1996 to encourage the expansion of paramilitary groups into the Cesar state. The paramilitaries in these meetings reportedly wrote lists to inform the mining companies how much money it would take to arm, feed, and sustain 200 fighters. According to former Drummond security manager and former CIA agent James Lee Adkins, the Colombian army had contacted Drummond to support the paramilitaries in the region. Several so-called CONVIVIR groups, widely considered the germinators for paramilitary groups, were established in Cesar and incorporated into the AUC after Congress banned the self-defense groups. Adkins’ testified that he informed Drummond’s president about the military’s plan to set up paramilitary groups and Garry Drummond consented to $1.1 million payment to the Colombian army. “When the money when into the military fund, the military could do with it what it wanted,” testified Adkin. Testimonies from Jaime Blanco Maya, Drummond’s food service contractor, declare that Drummond used Blanco’s “Industrial de Servicios y Alimentos” company to channel money to paramilitaries from 1997 to 2001. The 42% spike in the negotiated fee between the first and third contracts was allegedly inserted as funding for the JAA, at the alleged request of Drummond, as were the 10% markups Blanco claims to have worked into his invoices. Blanco said he paid out a total of $900,000 to the JAA paramilitary groups between 1997 and 2001. According to the PAX report, Blanco testified that after AUC was registered as a terrorist organization, Adkins supposedly said that the dealings with the AUC had become risky and did not extend the contract with Blanco Maya’s catering company. However, despite this development according to testimonies of paramilitaries ‘El Samario,’ ‘El Peinado,’ and ‘El Mecanico,’ meetings with company representatives and payments continued through more clandestine means. Payments were facilitated by a former employee of Blanco’s catering company, Javier Lopez, who turned into a paramilitary. Javier Lopez was used by paramilitary commanders “Jorge 40” and Tolemaida as the financial middleman. If the allegations are true, Drummond continued to finance a known terrorist organization after 2001. By 2006, the FARC had been completely forced out of northern Cesar and pushed to the eastern border with Venezuela. Paramilitaries along with Colombia’s armed forced essentially declared a total war to eliminate FARC sympathizers and supporters in the local populations and depopulate the region surrounding the mining concessions. Large-scale mining has been declared by President Santos and ministers in his administration as Colombia’s engine of economic growth. Colombia is the forth largest coal producer in the world. Mining is the second largest recipient of foreign direct investment after oil, constitutes nearly 7% of exports, and is 2.3% of Colombia’s GDP. Mining royalties is one of the Colombian government biggest sources of revenue. Roughly 50% of Colombian coal is destined for Europe of which 20% goes to the Netherlands and 12% to the British Falkland Islands. Most Colombian coal enters Dutch ports to be distributed to Germany, France and other European nations, according to the PAX report. The investigative report by Pax could potentially cause serious damage the already-tainted image of Drummond Ltd. and Glencore for their export of “blood coal” as the companies themselves have acknowledged in press releases.